This year’s PGA Merchandise Show in Florida saw thousands of golf industry professionals gather to discover the latest trends in golf equipment and technology. Attending again on behalf of The Golf Business was Sarah Forrest – and here’s her pick of what she saw. 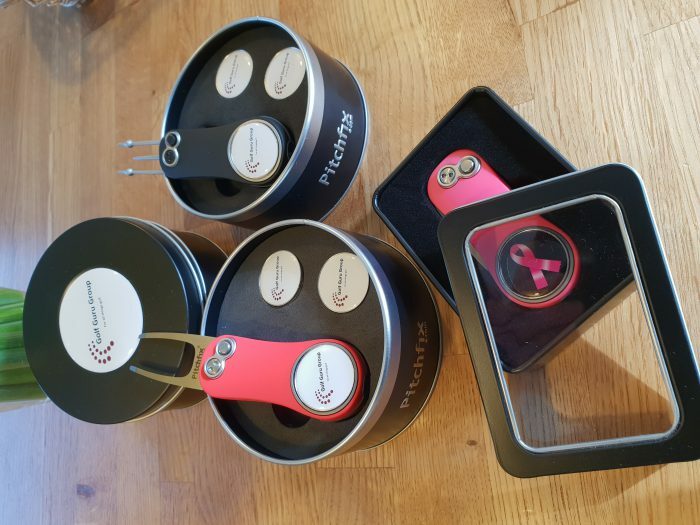 As always it is a pleasure to attend the PGA Merchandise Show in Orlando, and this year was especially exciting with the offerings on the table from established suppliers and also the new innovative products. There are so many training aids on the market, but this one struck me as particularly useful, why? Because it’s the shoes you wear. Golf shoes are a fundamental part of the game but have you ever considered wearing a shoe that gives you stats back to an app on your phone? 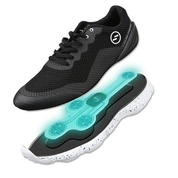 With sensors embedded into the soles to track feet pressure and distribution of your weight transfer and balance, there is no getting away from the stats which are fed back to an app! Instructions provided to analyse the stats (which are visual) to determine not only your weight balance and transfer but also left to right and front to back balance readings are given too. A name respected as an innovative and stylish design to be worn for golfers and more has come up with the next best thing for the golf industry. 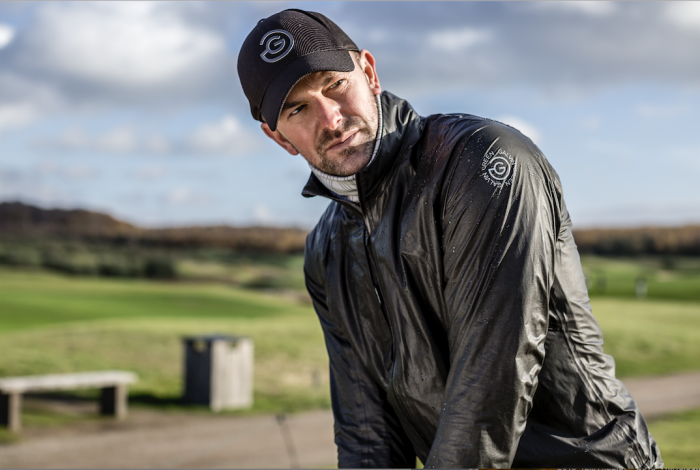 Galvin Green, already known for waterproof golf wear, taped seams, stretch and comfort not to mention its other clothing ranges in which design has not been compromised, has now come up with ShakeDry, which pretty much is what it says. 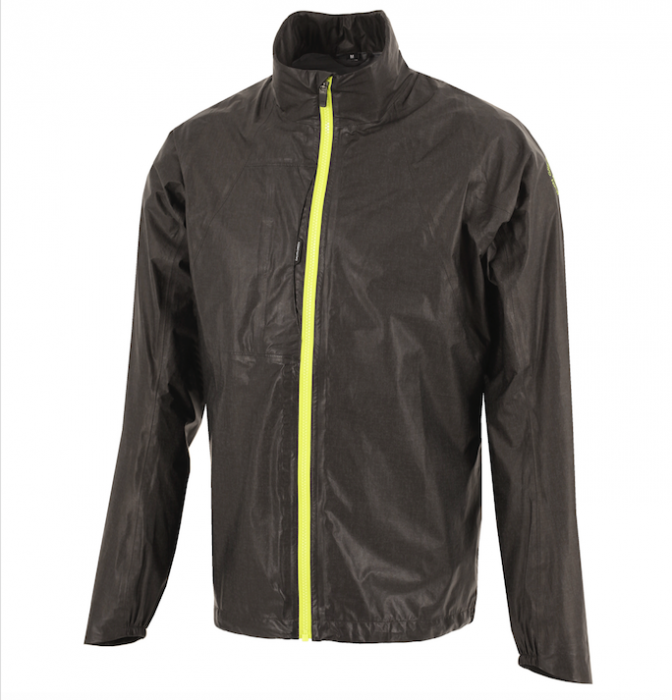 An incredibly lightweight (174 grammes) jacket to hit our stores in April with a very limited availability of lime green zip, with the grey range more available in July of this year. 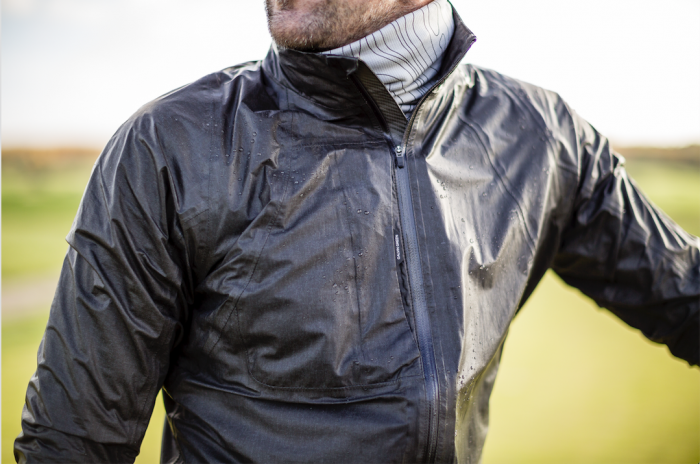 Featuring the already sought after Gortex®, the new ShakeDry flips everything around with the Gortex® being the outside membrane with no outer covering, this superlite garment will retail the same as the PacLite range prices and is sure to be a massive hit as the beads of water simply drip off yet warmth is retained. A great addition to any golfer’s wardrobe; for those that carry their golf clubs, for those that travel for their golf but really for any golfer who needs a decent jacket that simply does it all. A bacon sandwich is often a golf club staple before playing golf, followed by a quick pop into the pro shop for some chocolate part way round, or if you’re feeling super righteous then maybe a cereal bar which may or may not contain the same amount of calories but I have been enlightened to another snack which I would carry without hesitation – jerky. 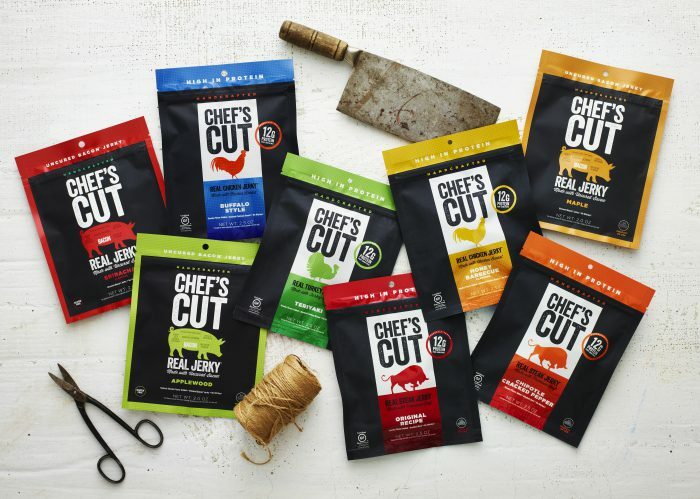 Hand crafted Chef’s Cuts real jerky is as tasty as any of the above, packed in a sealed bag to keep it fresh. This treat is enough to keep you going through 18 holes and beyond. There are many flavours but the ones I tried are the original and teriyaki beef, but there’s also smoked chicken breast, buffalo style, which is making my mouth water as I type! Dried meat isn’t a new thing, it has been done for years as a way to preserve meat, in South Africa it is biltong, in the US it is jerky, two different processes, two tasty snacks for the fairways. 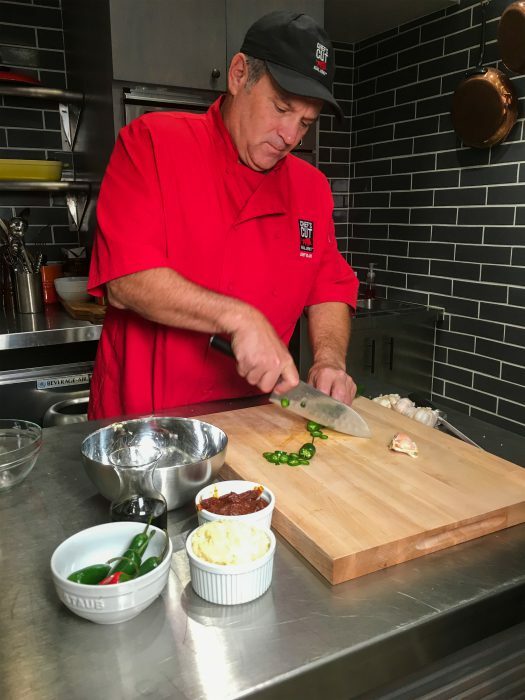 If you can get you hands on the Chef’s Cut range, I’m sure you won’t be disappointed and that you’ll have a great round too! How many styles, designs, colours, different materials have you seen of the humble pitchfork? And why was my eye drawn to the Pitchfix range? It is true there are a myriad of pitchforks out on the market at the moment, but the clean simple lines of the gift tins available from Pitchfix got my attention. Completely customisable items sold as individuals or in presentation boxes for that truly unique gift include an easy to use trident or two pronged pitchfork with magnetic ball marker and an integrated pencil sharpener set in an ergonomic rubber ‘casing’ and a further two ball markers in one tin; together with the tin lid being branded for more effect and positive marketing make that gift extra special. Pitchforks flip out and pack away to save any injury as you bend down to retrieve your ball from the hole! Other presentation tin options are available, or can be purchased individually. 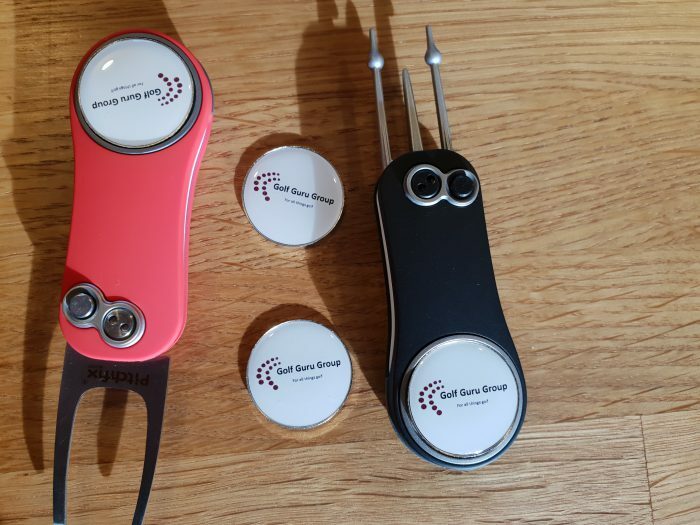 Products available include pitchforks, ball markers and hat clips. 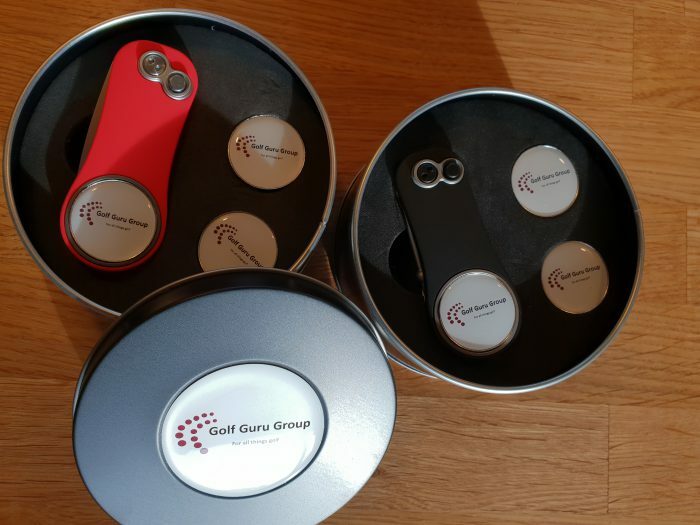 Sarah reviewed the above products at the PGA Merchandise show in Orlando, January 2019. Her opinions are her own and represent an analysis of her findings without bias or payment.